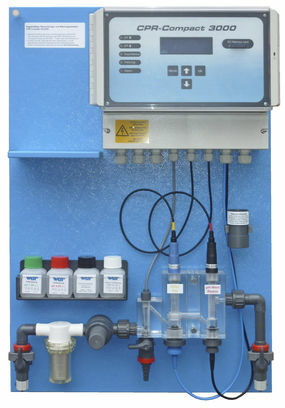 Autocontrol system for public swimming pools. 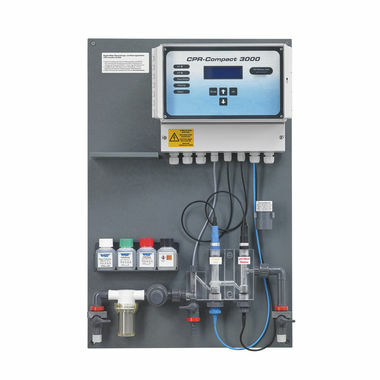 For the control of the parameters free chlorine, pH-value, redox and temperature according to DIN 19634 to control all dosing units common in trade with frequency, impulse length, 2-point or 0/4...20mA. Operation and visualisation via a 4-line, illuminated display and 4 buttons.